As a polar vortex started to show its strength across the midwest, a vortex that was just as strong formed around Northwestern’s basket at the Xfinity Center in College Park, Maryland. The Wildcats may not have been as cold as their classmates in Evanston — where the temperature was well under 20 below at the conclusion of Tuesday’s game against No. 21 Maryland — but it was not by much. NU (12-9, 3-7 Big Ten) spent most of the game hovering around 24 percent shooting before finishing the game at exactly 31 percent from the field. On the other hand, the Terrapins (17-5, 7-3) shot 46 percent as they held a double-digit lead for all of the second half and won 70-52. The Cats started well as sophomore guard Anthony Gaines drained the first shot of the game 20 seconds in and senior center Dererk Pardon hit a layup less than a minute later. But then NU went on an extended delay. It took seven minutes and 20 seconds before the Cats nailed their third basket of the game — a layup from freshman Ryan Greer. At the end of the first half, Maryland had a 33-22 lead and had stifled NU to 22.6 percent shooting from the field, including a paltry 15.4 percent from beyond the arc. “I though their defense was good, and when we did get good locks whether it be at the basket or open shots, we could just never string anything together,” coach Chris Collins said. The second half did not bring any more success for the Cats. 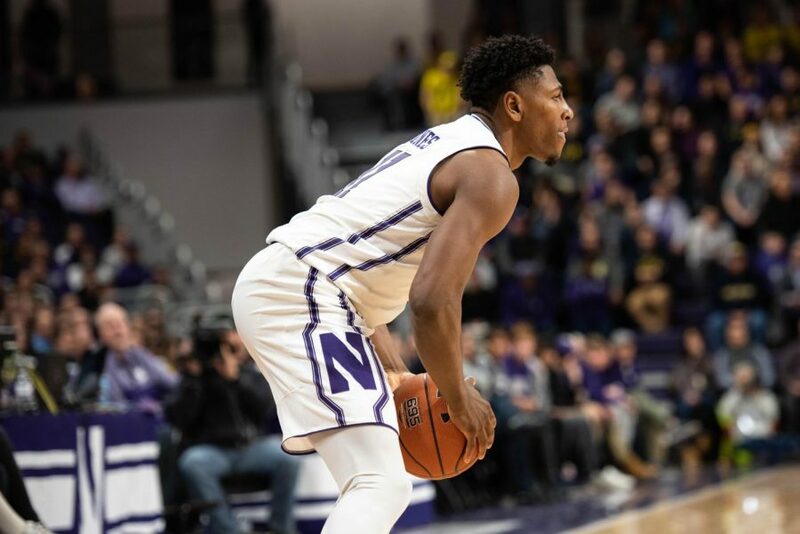 Before NU concluded the game making seven of its final 11 shots over the final eight-plus minutes, the Cats were shooting 23 percent from the floor. Despite NU’s overall inefficiency shooting the rock, Gaines had himself a solid day from the field. He scored 18 points, a career high and grabbed seven rebounds. Pardon had 14 points himself, but did so on 5-for-14 shooting. Senior forward Vic Law was 2-for-8 and junior forward A.J. Turner was 0-for-5 in only 11 minutes of action. While the Cats were unable to develop any offense, the Terrapins had a consistent performer in the post. Sophomore Bruno Fernando, a potential first round pick in June, demonstrated his strength and ability in the post. The 6-foot-10 sophomore was 9-for-16 from the field and finished the game with 22 points and 10 rebounds. Fellow big man Jalen Smith also had a big game, scoring 14 points and grabbing nine rebounds. NU struggled to contain both big men, as Maryland had 36 total points in the paints. Even as the Cats scrambled to contain the two 6-foot-10 forwards, they did do a good job against the Terrapins’ scoring leader Anthony Cowan Jr. NU was able to get the junior guard into foul trouble — he had three personals in the first half — as he labored to get his shot offensively. He took only three shots in a season-low 19 minutes. It is the second straight time the Cats have put together a nightmarish shooting performance. Saturday in Wisconsin, NU shot even worse — 29.6 percent from the field. Over the last five games, Law shot 11-for-50 and Turner is 6-for-26 from the hardwood.